Only a few D.520 fighters were in service with the French Air Force when France collapsed. Several saw service with the Luftwaffe and were painted, as this photograph shows, brown on top with light blue/grey undersurfaces. The He 100 sent to Japan during World War II for evaluation by the Japanese Air Forces. Hunter F. Mk. 6 is illustrated in one of the first views of this latest mark of Avon-powered Hunters, Marks 2 and 5, built by Armstrong Whitworth Aircraft at Coventry have the Armstrong Siddeley Sapphire turbojet. 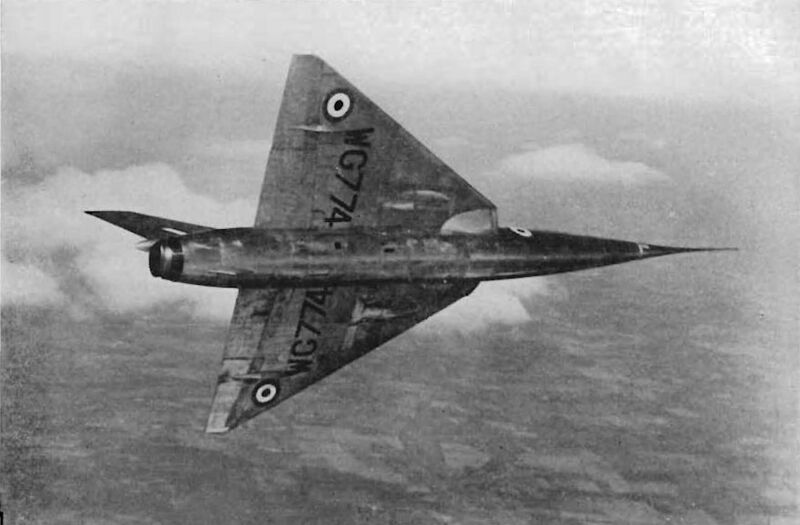 Today, the Hunter is the most important British aircraft contribution to N.A.T.O. Apart from the one hundred and fifty being delivered to Sweden, there are N.A.T.O. and R.A.F. contracts still being completed which total more than one thousand Hunters. The Mk. 6 is reported to have a late series Rolls-Royce Avon, possibly the R.A.2B which may be boosted to 14,000-lb. S.t. with afterburning. The F. Mk. 6 Hunter has a slightly enlarged tailpipe. Grumman F9F-8T Cougar. Announced in April, some time after the first flight, a 100-plus contract for tne U.S. Navy's first transonic operational trainer, the F9F-8T Cougar. 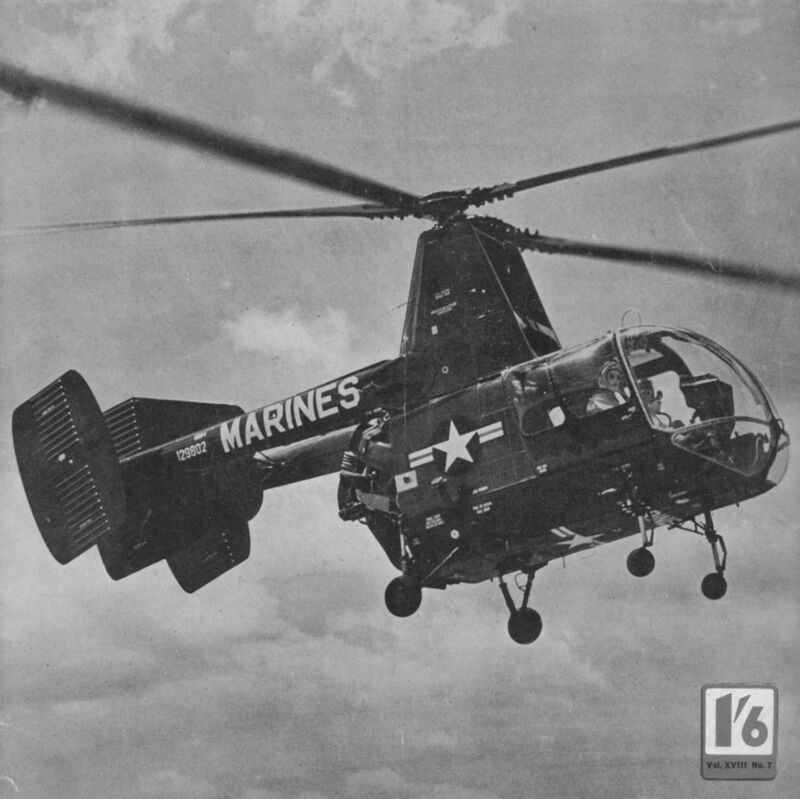 The "classroom" Cougar appears four years after the first production carrier-borne single-seaters started rolling off the Bethpage, Long Island, assembly lines. The Eight-Tee has involved the minimum of structural alteration. The fuselage length has been increased by 23 in. forward of the original cabin. To make way for the forward cockpit and equipment two of the original four 20-mm. cannon have been deleted, and when flown as a single-seater the F9F-8T's forward seat is occupied. Venom NF. Mk. 3, WX841, sports the black-and-white triangle markings of No. 141 Squadron, R.A .F. Fleet Air Arm counterpart of the NF. Mk. 3 is the Sea Venom F(AW). Mk. 21 , differing from the land-based Venom by having power-folding wings, deck arrester-hook "lip" above jet orifice and deeper tail bumpers. On the port beam there are several noteworthy design features . 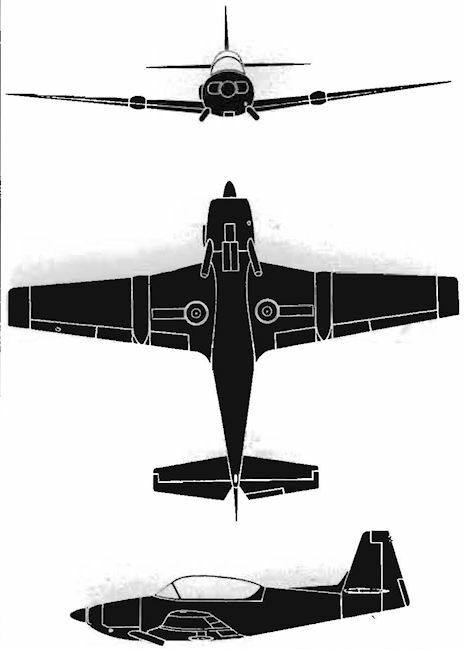 Both versions have a navigation light set in port tail " bullet", and both versions have an assymetrical double-bubble dorsal shape to the canopy (the pilot 's bulge on the port side being the deeper). The R.A.F. 's Venom NF. Mk. 3 has a whip aerial on each boom just forward of the roundel position while the F.A.A. 's Sea Venom F(AW). Mk. 21 has a whip aerial on the starboard boom and a non-whip aerial on the port boom. Power in each case is 4,850-lb. S.t. D.H. Ghost 103 (NF. Mk. 3) and 104 (F(AW). Mk. 21). Each has radar nose and four 20-mm. 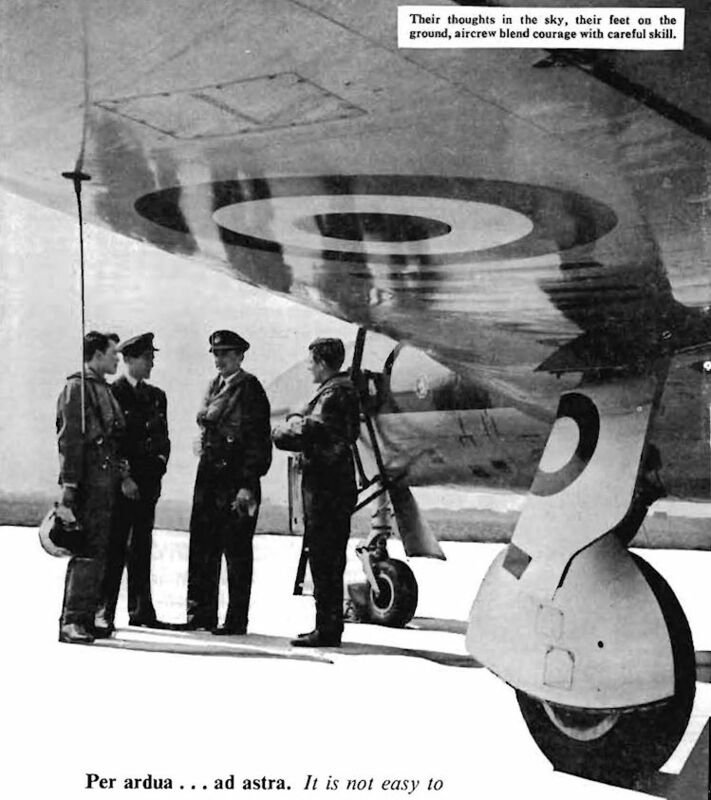 British Hispano Mk. 5 cannon. Maximum speed approx . 630 m.p.h. Respective dimensions, F(AW). Mk. 21 in parentheses: span 41 ft . 8 in . (42 ft . 10 in. ; length 36 ft . 8 in. (36 ft . 7 1/4 in.) ; height 6 ft. 6 in. (8 ft . 6 1/4 in .). The He 118 sent to Japan during World War II for evaluation by the Japanese Air Forces. The first production Sea Hornet NF.21 on the way to the scrap yard. The Kaman HOK-1 has intermeshing counter-rotating rotor blades driven by a 600-h.p. Pratt & Whitney Wasp R-1340-48 engine. Latest version of this U.S. Navy and Marines' helicopter is a casualty evacuation model. Unusual design features are the close-set twin booms and triple fins, the central fin being added when the original 500-h.p. Continental R-975-40 engine was superseded by the P. & W. Wasp. Flotation gear or skis can be fitted instead of the normal four-point land undercarriage. TEMCO MODEL 58. The Temco 58 has been designed as a two-seater primary trainer with easy conversion to a secondary role as an armament training machine. It is a private venture of the company, and they state that it is intended mainly for sale to military air forces abroad. The aircraft is fully aerobatic, and the transformation from unarmed primary training to weapons instruction can be made in less than twenty-four hours. Salient features : Construction is all metal and a retractable tricycle undercarriage is fitted. The one-piece bubble canopy is power-operated. Complete night-flying instruments are fitted. Considerable attention has been paid to ease of maintenance, and many components are interchangeable. Many major sections of the aircraft can be replaced quickly in the field and specialised equipment is not needed for this purpose. The comprehensive armament installation consists of two machine guns, either .30 or .50 in., together with two Napalm bombs, two 100-lb. general-purpose bombs, and sixteen 8-cm. rockets. TEMCO MODEL 58. Data: Manufacturer : Temco Aircraft Corporation, Dallas, Texas. Powerplant: one Lycoming GSO-480-AIA6 piston engine of 340 h.p. driving 7-ft. diameter constant-speed three-bladed airscrew. Accommodation: pilot and pupil. Dimensions: span 33 ft. 2 3/4 in. ; length 25 ft. 10 in. ; height 9 ft. 10 in. Weights: gross 2,993 lb . ; empty 2,270 lb. ; useful load 723 lb. Performance: maximum speed 185 kts. ; cruising speed 174 kts. ; economical cruising speed 137 kts . ; service ceiling over 25,000 ft.; range at economical cruising speed 485 nautical miles. Fuel: 50 gallons. For the new Luftwaffe, seventy-five Piaggio P.149D four-seat liaison and training monoplanes have been ordered. 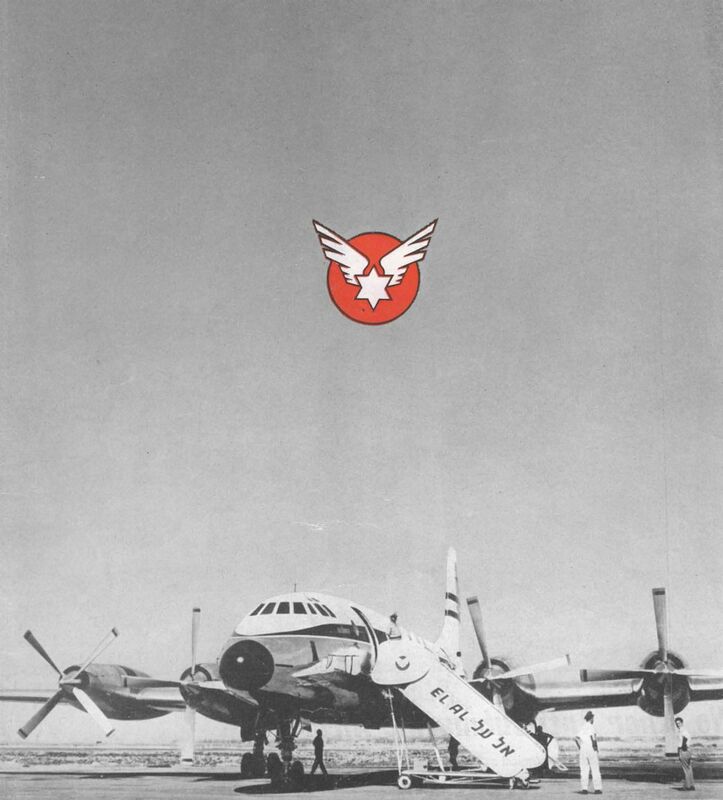 The photograph depicts the first of the German 'D variants, albeit sporting Italian Air Force red, white and green roundels and the MM serial (Matricula Militare) MM559 under the tailplane. All handling instructions on the airframe, however, are printed in German. In May three Piaggio demonstration aircraft toured West German airports, including Dusseldorf: I-PIAM (P.149), and I-PIAW and I-PIAX, two P.148 two-seat Italian Air Force primaries in the Fokker S.II Instructor category. The Piaggio P.149D is powered by a 260-h.p. Lycoming GO-435-C2 (geared 0.642 : 1) aircooled flat-six driving a three-blade airscrew. Maximum speed is 184 m.p.h. ; cruising 163 m.p.h . at a.u.w. of 3,104 lb . ; range 503 miles. Span 36 ft. 5 1/2 in. Called the Martin Executive, N170A, "The Pennsylvanian ", is one of four Martin 2-0-2s operated by Allegheny Airlines of Washington, D.C. These 2-0-2s have been converted from 36- to 40-seaters and , together with fourteen DC-3s, serve more than fifty cities in the Middle Atlantic area. The airline has a staff of 626 and in 1955 carried nearly 350,000 passengers (approx . 56 million passenger/ miles). Compare this domestic local service line with one of the "Big Seven" domestic trunk lines, American Airlines, having more than 18,000 staff and carrying, in 1955, nearly 7.4 million passengers (approx . 4,360 million passenger/miles). Allegheny Airlines' colour scheme, green dressing on white top-decking and white under the windows. Green "boomerang" on tail cut by red band with white "Allegheny", and green lower band. Engines are two 2,400-h.p. P. & W . Double Wasp R-2800s giving maximum cruise of 270 m.p.h . Span 93 ft . 3 in. PARTENAVIA P-53 AEROSCOOTER. More than once a well-known pilot has designed and sometimes had built for himself his ideal aeroplane. In most cases the idea does not get very far. The Aeroscooter M.d .B., however, is an exception. It was designed by Dot.-Ing. Luigi Pascale, technical director of Partenavia, expressly for Mario de Bernardi, winner of last year's d 'Annunzio Trophy on a Partenavia P-55 Tornado. 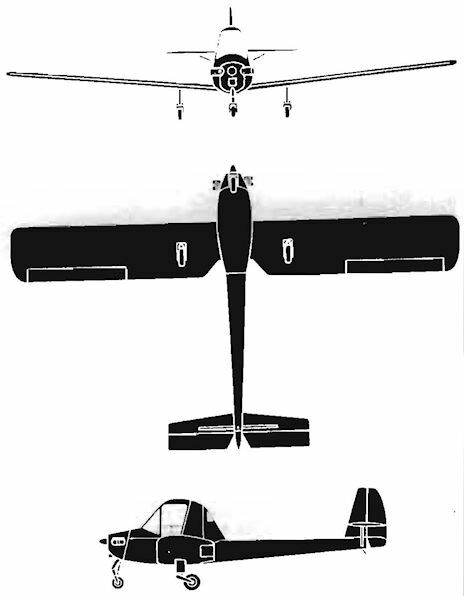 The Aeroscooter must represent quite a change from some of Colonel de Bernardi's past mounts; in 1926 he brought the Schneider Trophy home to Italy on a Macchi M-39 at 246.5 m.p.h . The machine was demonstrated recently at Naples to a group of technicians and officials, including the Minister for Air Defence. Salient features: Designated P-53 by Partenavia, the Aeroscooter is constructed throughout of metal, and represents the minimum safe structure required to unite pilot, engine and flying surfaces. PARTENAVIA P-53 AEROSCOOTER. Data: Manufacturer : Partenavia S.p.A., via Tasso 480, Naples. Powerplant: one Ambrosini P-25 piston engine of 22 h.p. driving a two-blade wooden airscrew. Later machines will be fitted with more powerful engines of 35-40 h.p. Accommodation: pilot. Dimensions: span 27 ft. 2 in. ; length 16 ft. 9 in. ; height 5 ft. 7 in. Weights: loaded 551 lb. ; empty 330 lb. Performance: maximum speed 93 m.p.h. ; cruising speed 74 m.p.h. ; stalling speed 37 m.p.h. ; service ceiling 11,500 ft.
SAUNDERS-ROE A.33. A British flying-boat which has long intrigued students of aircraft development is the little-known Saunders-Roe A.33 of the late 1930s. For the first time, Air Pictorial publishes a three-view drawing together with a number of hitherto unpublicised details. The Saro A.33 was built to the same Air Ministry Specification (R.2/33) as the Short Sunderland - calling for a long-range reconnaissance and patrol flying-boat. The contract for one prototype (K4773) was placed in 1934-35 and construction started late in 1936. The A.33 was completed in September 1938 and the first taxi-ing trials were carried out on 10th, 11th and 12th October. On 14th October the A.33 was airborne for the first time, at an all-up-weight of 31,000 lb. After some half a dozen flights, K4773 was seriously damaged through "porpoising" during high-speed taxi-ing in the Solent. As the result of a heavy hull/water impact, the fabric-covered, all-metal wing failed in torsion at a position in line with the inner starboard Perseus. The starboard wing then twisted about the single main spar and the starboard inner airscrew ripped into the hull and sponson, while detached structure damaged the tail assembly. As the damage was above the water-line, the A.33 did not sink and it was towed back to the East Cowes slipway. This unique British example of the sponson flying-boat was not repaired and Saro concentrated on the twin-engined A.36 Lerwick. SAUNDERS-ROE A.33. 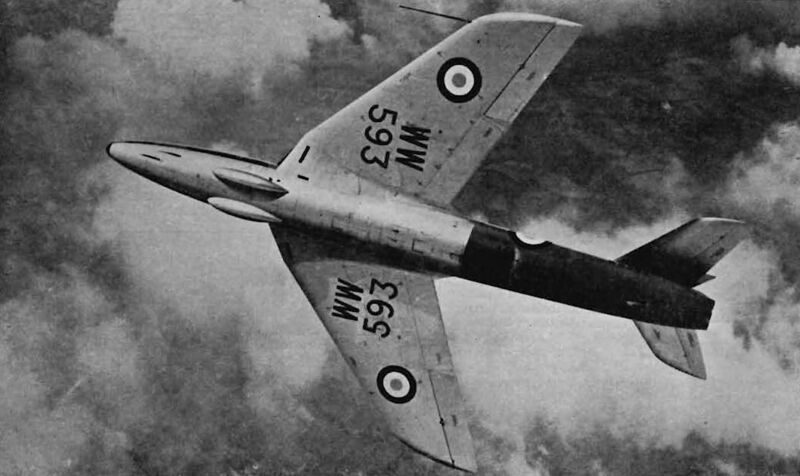 The A.33 was powered by four 830-h.p. Bristol Perseus XII sleeve-valve radial engines and had a design max. speed of 200 m.p.h. at sea-level. Gross weight (design) was 41,500 lb., and on at least one occasion the A.33 was flown at 35,000 lb. Nose and tail power-operated turrets were to have been fitted, while pillar-mounted single .303-in. Vickers K machine guns were to be fitted each side of the enclosed dorsal hatchway just forward of the single fin. The wing was supported by massive N-struts attached to the metal sponsons and by V-struts attached to the hull. Other data: Not known. DITTMAR HD 153 MOTOR-MOVE. Now ready for delivery at a price - in Germany - of about ?1,200, the HD-153 Motor Move (Motor Gull) is the newest entrant in the light- and roadable-aircraft field. Flugkapitan Heini Dittmar, the designer, was well known before the war as an international Gliding champion. The prototype, D-EBEF, is flying successfully. 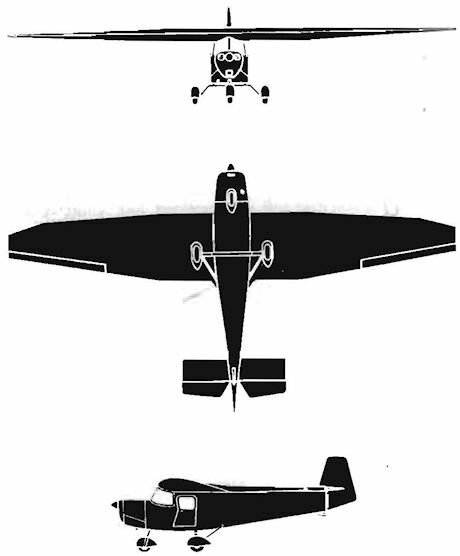 Preparations for road-towing are simplicity itself; two bolts are withdrawn to release the tail controls, the wing, rudder and tailplane are stowed on top ofthe fuselage and bolted down, and a dolly with ball coupling is attached to the undercarriage. Salient features: The fuselage is of wood, plywood covered, with the rear top decking detachable. An entrance door on the left side gives access to the two side-by-side seats, one of which comes out if an extra tank is fitted. Baggage room is at rear of cabin . Dual control is fitted. The wooden wing has a one-piece spar with torsion-box plywood leading edge, and lift spoilers on the top surfaces. The tail unit is of similar construction, the balanced rudder being fabric covered. Spring tabs are fitted to the elevators. A fixed spatted tricycle undercarriage has nose-wheel steering direct from a hand lever in the cabin. DITTMAR HD 153 MOTOR-MOVE. Data: Manufacturer : Heini Dittmar-marketed by Carlsen-Aero of Rothenburg. Powerplant : one 65-h.p. Continental, or one 85-h.p. Continental, performance figures in brackets where different. Accommodation: two. Dimensions: span 39 ft . 4 in. ; length 21 ft. 4 in. ; height 5 ft. 3 in. ; wing area 197 sq. ft . Weights: maximum 1,542 lb. ; empty 815 1.2 lb. ; load 736 lb. Performance: top speed 102.3 m.p.h. (124 m.p.h .) ; cruising speed 89.5 m.p.h . (105.4 m.p.h. ); landing speed 37.2 m.p.h. Climb to 3,280 ft . in 7 min. Tankage 16 1.2 gallons giving 4 1.2 hours endurance. With 44 gallon (extra tank), endurance is 13 hours . Consumption 24 m.p.g. Propellor diameter 5.9 ft.
P.23R after the installation of three 1,000-h.p. 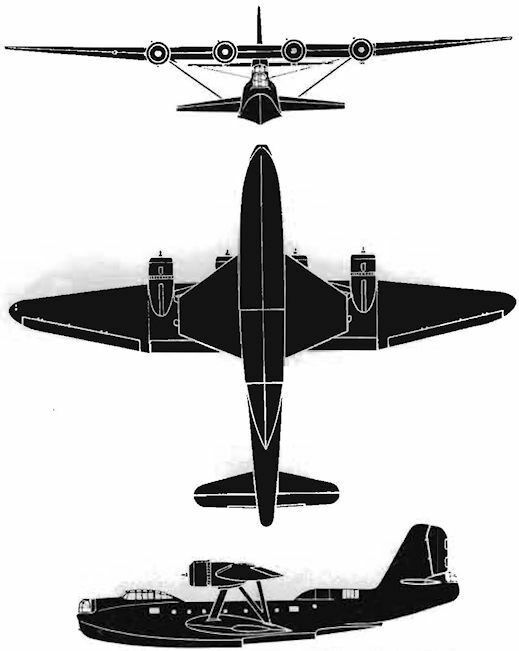 Piaggio P.XI RC radials. 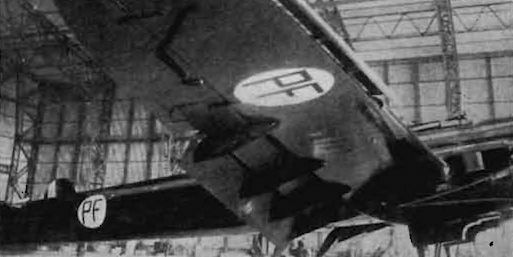 Photo shows the leading-edge slots and camber-changing flaps filled to the P.23R. It is of interest to note that the design was further developed by the Officine Meccaniche Italiane S.A. (Reggiafle) as the Ca. 405 Procellaria in 1937. Subsequently, both Piaggio and Reggiane produced bomber developments designated P.32.